As you’ve probably heard by now, the ABMI celebrated 10 years of operations last year by conducting a major review of its overall operations. This review process had two distinct components: a Stakeholder Needs Assessment, to evaluate the ABMI’s success in meeting the needs of its key partners and stakeholders; and a Science Review, to evaluate the ABMI’s scientific framework and success in delivering on its initial scientific objectives. We covered the Stakeholder Needs Assessment component previously, so this week let’s look at the Science Review. As with the Stakeholder Needs Assessment, the Science Review was a long process that involved both ABMI staff and independent external contributors. 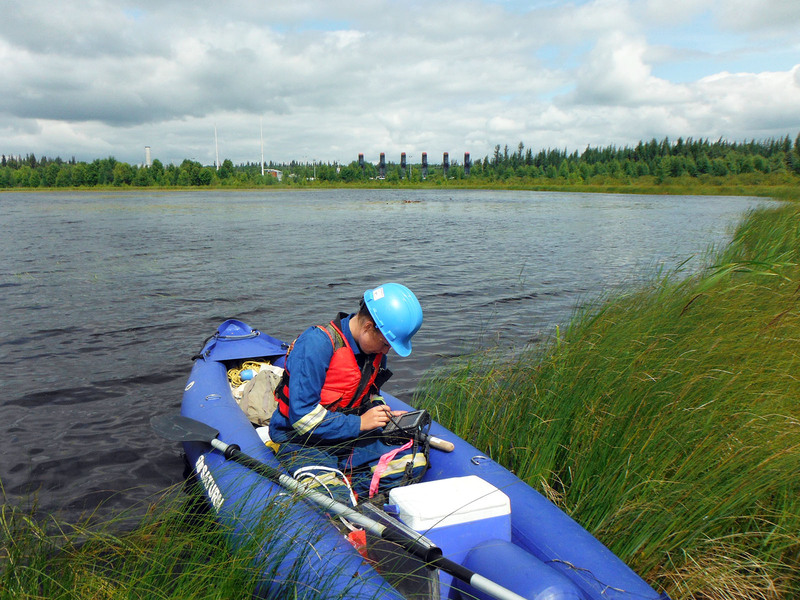 Over 2017 and into 2018, ABMI staff and contractors evaluated the ABMI’s various scientific activities, including sampling design, monitoring protocols, and data analysis. The overarching questions were is our existing monitoring program allowing us to answer the questions we set out to answer, and can we we make the existing program even more efficient and cost-effective. Answering these questions entailed crunching a lot of numbers, and resulted in a 150-page synthesis report outlining all the analyses. The ABMI’s Science Directors, Dr. Jim Schieck and Dr. Stan Boutin, oversaw the process to ensure its was comprehensive and accurate. Next, this report was submitted to an external Science Expert Committee (SEC) for review. The SEC included independent scientific experts with diverse ecological backgrounds, strong analytical skills, and broad experience with environmental monitoring that spanned the breadth of species, habitats, and landscapes surveyed by the ABMI. Working with an independent facilitator, the SEC created their own short report, essentially reviewing and evaluating the analyses and conclusions of the longer report. Finally, both reports were forwarded to the 10-year review Steering Committee, which used them to develop recommendations for the ABMI’s future operations, which were in turn presented to the ABMI’s Board of Directors. 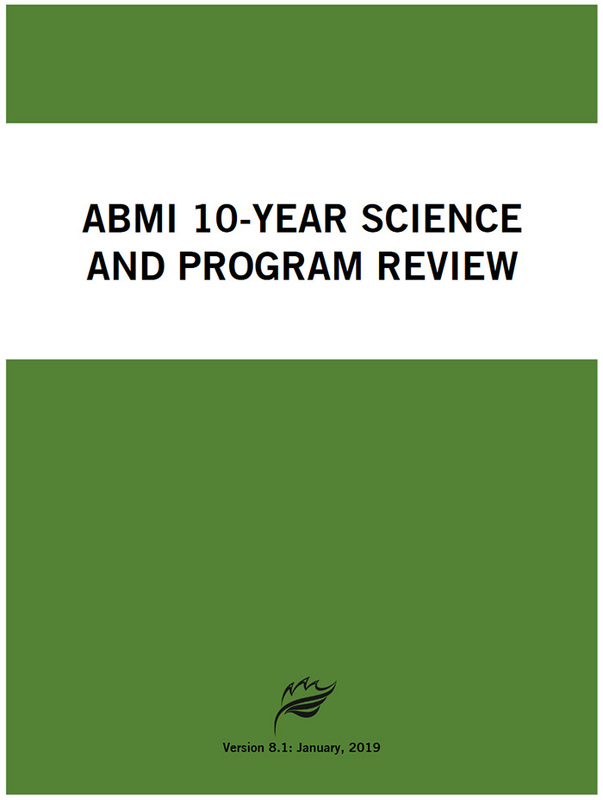 Cover of the ABMI’s internal report for the Science Review (available online through the 10-year Review website). So what did the Science Review find? We invite you to read the complete results for all the details, but we’ll highlight two key outcomes here. First—if you’ll indulge us a moment of pride—the external reviewers were unanimous that, over its first 10 years of operations, the ABMI has exceeded expectations, delivered on its goals and objectives, and provided a service that is extremely beneficial to stakeholders and the public alike. They also expressed a high level of confidence in the ABMI’s program design. Coming from independent experts in the field, this was great to hear and gives us extra confidence as we continue to improve our operations and grow into a global leader in biodiversity monitoring. Secondly, the external reviewers suggested some tweaks. In particular, they advised that a “Value of Information” approach that considers how much information is “enough” to make policy decisions might yield a more efficient program, and suggested that the ABMI consider using such an approach. For example, it might be possible to reduce the frequency or geographic extent of sampling in some areas, in exchange for targeted sampling in others, with minimal overall effect to the robustness of the resulting data. At the same time, they emphasized that any such efforts shouldn’t come at the expense of sampling remote parts of the province. This suggestion is in line with the ABMI’s own research, and should result in a streamlined monitoring program that better meets our stakeholders’ data needs. We’ve already started planning to incorporate this and other valuable feedback from the Science Review process into our operations, with refined monitoring protocols being actively field-tested. Overall, we’re pleased with the independent experts’ endorsement of the ABMI’s efforts to date, and excited to improve them further as we look ahead to the next 10 years and beyond. The ABMI sincerely thanks all participants in the 10-year Science and Program Review process for their time, input, and help in guiding the ABMI’s future.